A music camp was held on our church property in the countryside of Porumbacu, Romania, on August 6-12, 2018. Porumbacu, Romania—A music camp was held on our church property in the countryside of Porumbacu, Romania, on August 6-12, 2018. Musicians from all over Romania gathered to learn more about their instruments, music, and how to use their talents to praise the Lord. Some sang in the choir, others comprised the orchestra. Approximately 210 individuals participated in the camp. The days at the music camp included time for fellowship, recreation in the peaceful outdoors, theory lessons, and hours of practice followed by delicious and healthy sustenance. During these days at the music camp, the participants prepared for the concert that would take place at the end of the event. Brother Marcos Pedrazas (Chairman of the GC Music Committee) and Sister Barbara Montrose (GC Music Committee) were present to hold the music camp lectures and instruct the musicians. Brother Radu Ionita, GC Youth Department Director, was also present. 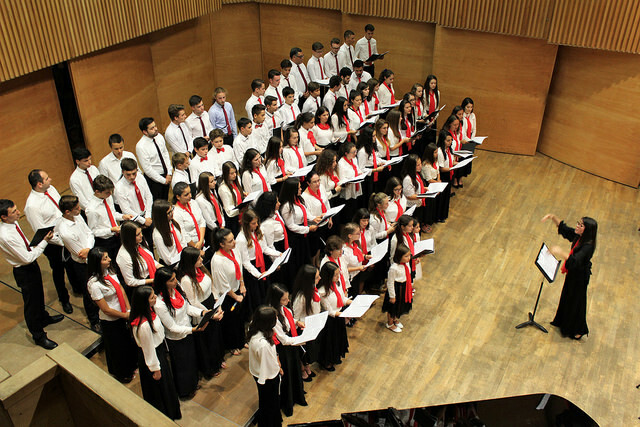 Finally, the day of the concert arrived and the orchestra and choir were ready to perform. The concert took place at Sala Thalia in Sibiu, Romania. It was a blessed evening with approximately 150 people in the audience. May God continue blessing our musicians and their talents.